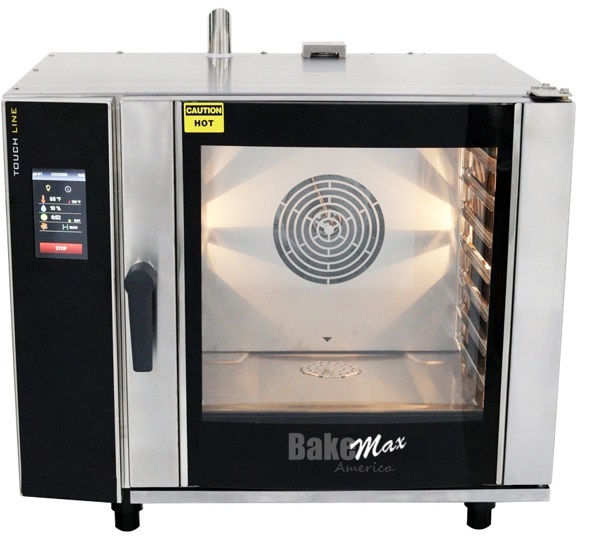 The BakeMax America BATCO6 Series Combi Oven was designed to hold 6 full size Gastronorm pans and is suitable for restaurants and kitchens of all sizes. 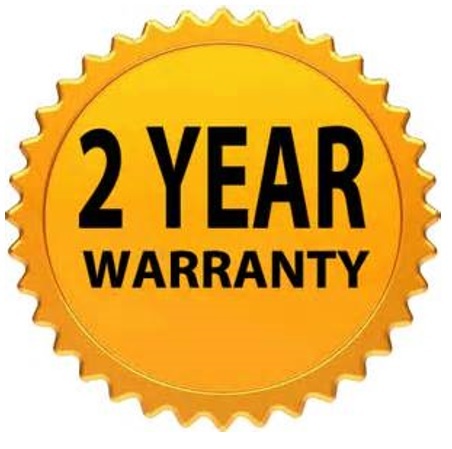 Providing you with increased productivity and autonomy due to its easy control and great performance. Designed with a curved double glass door to maximize energy efficiency and prevent burns. Bi-directional fan with 5 fan speeds with auto reverse and auto shut off when door opens. Overnight cooking and cleaning capabilities (includes a spray), saving time and money. Rack timing, able to cook different products at the same time. Touch screen with the ability to hold 100 recipes. Made with AISI 304 stainless steel – No risk of corrosion. Curved double glass door prevents energy loss and burns. Unique cooking chamber surface providing a longer lifetime and more hygienic. 2 speed fan, with auto reverse system – Controlled evenness. Overnight cooking / baking – Saves time and money. Minimizes loss of food quality. Rack timing – Different products cooked at once resulting in time and energy savings. Regeneration / banqueting – Cook, chill and regenerate to serve more at once. 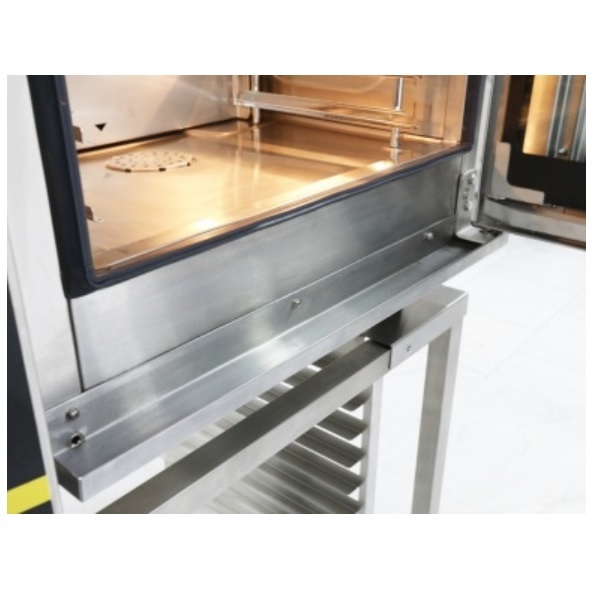 Delta T cooking / baking – Excellent uniformity with larger food products. 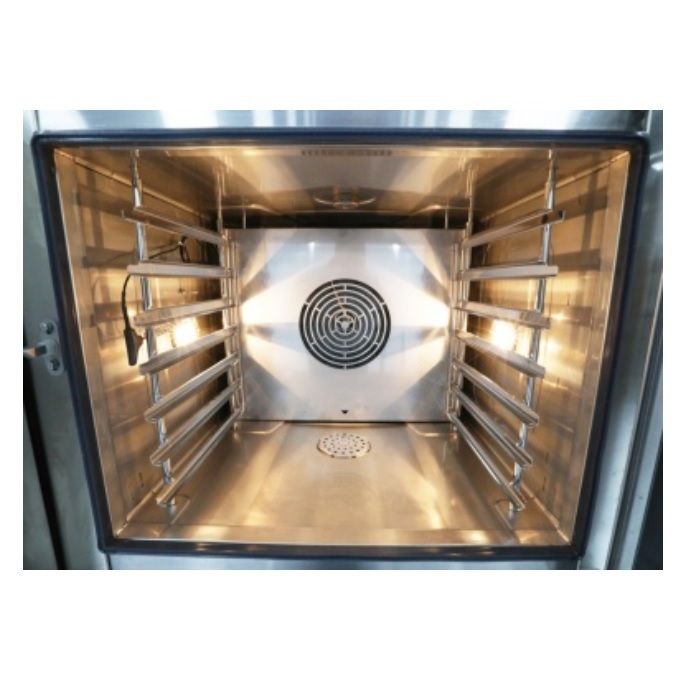 Low temperature roasting – Less product loss, better taste. Cook & Hold – Time savings in the kitchen, faster service. Golden Touch – Controlled finishing for golden-brown crispy excellence. Large door handle – Easy and safe handling. Spray hose for easy cleaning. 4-point core probe- Safe core temperature control. 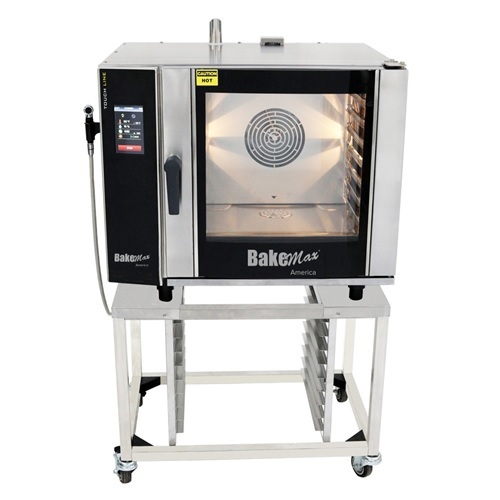 Bi-directional fan – Excellent cooking and baking evenness. Fan Stop – Prevents burning when the door is opened quickly. Perfect halogen illumination – Precise visual control. Removable door gasket seal – Easy maintenance. Automatic start – Helps to reduce idle time and saves your time. Learn Function – Improves cooking standards every time. 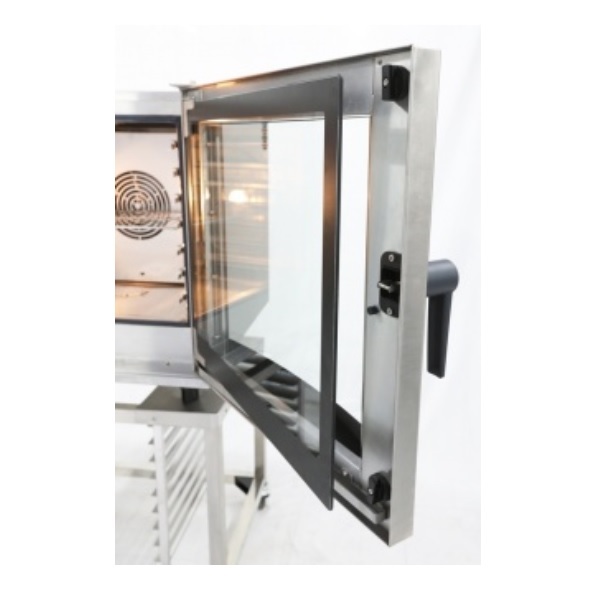 Safety door opening in two steps – decreases the risk of burns from steam. Advanced boiler system – Ongoing cooking to deliver the best results in time for the diners. Advanced direct injection system – Excellent cooking results thanks to highly saturated fresh steam. 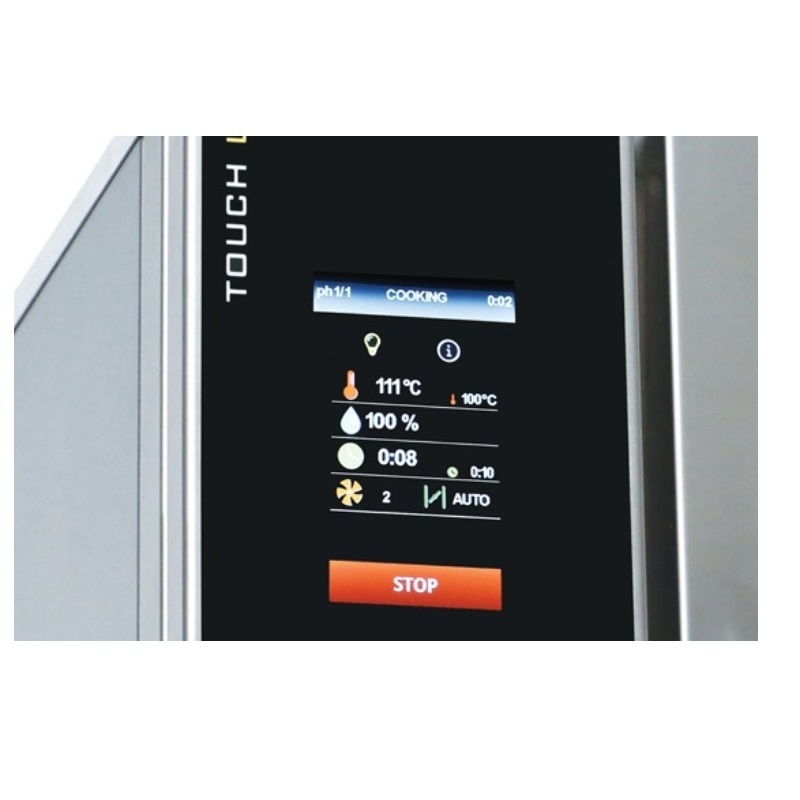 Automatic preheating/cooling – Compensates loading temperature drops.